Food allergies versus baby food! How do you solve this conundrum? I read a fascinating article from the Star newspaper in Australia (no relation to the Star weekly up here in the States). It pits a mother trying to bring baby food into a restaurant against a restaurateur who says she can’t allow it due to potential food allergy issues with her customers. 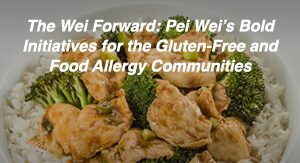 Given that AllergyEats is a community of individuals dealing with food allergies, yet also a group comprised mostly of parents, I found it fascinating just to wonder which side our readers would support. I think this could be a really profound discussion and strongly urge you to share your opinion. Please read the article and post your thoughts by clicking on Reply or Comments below. You can also share your opinions on our Facebook page, but I’ll end up re-posting them here anyway. Shocked … Croydon mother Simone Corbett with her daughter Chelsea may think twice about coming back to Williamstown after she was asked to leave a cafe for feeding her baby mashed baby food. A FIRST-time mother feels discriminated against after she was asked to leave a Williamstown cafe for feeding her child mashed baby food. Simone Corbett, Croydon, said she had taken her eight-month-old daughter Chelsea, her husband and mother-in-law to Williamstown for a day out on 10 July. She said when they entered Ferguson Street Provisions she was treated very well until she brought out a tin of Spaghetti Oops and SPC fruit cups. Mrs Corbett said the spaghetti mashed very easily and was OK for her daughter to eat, but was unsure of the spaghetti on the children’s menu and how her daughter would react to it. 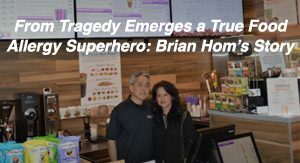 “I have a responsibility to feed my baby, we were going to order, my mother-in-law was with us, my husband, we weren’t just using their café as a stopping point, we were ready to stay and get out of the cold,” she said. Mrs Corbett said she was extremely embarrassed and felt she was targeted. She said she came for a tourist day out after Mrs Corbett saw an ad about a baby store. “It took us over an hour to get there. I quite often go to Williamstown, it’s left a bad taste in my mouth, why would I want to go back there,” she said. Ferguson Street Provisions owner Linda Coppola said her cafe specifically didn’t allow foreign food coming into the cafe, other than pureed baby food, to cater for the many customers with food allergies. Ms Coppola said there were notices on the windows and also on every table in the restaurant. She said the cafe catered for people with a range of intolerances including gluten intolerances, allergies to capsicums, and people with Celiac disease. “We serve that food here, but if we serve it, we can make sure it’s safe for those people,” she said. Is the restaurateur right that she needs to keep out foreign foods to protect food allergic diners? Should the mother be allowed to feed her baby food in the small space it would require? Is the restaurateur overreacting, yet still in the right as this is a stated policy on the windows and tables? And why is pureed food allowed in? Do you know of any similar situations or restaurants that would likely enforce a similar policy? Please take part in this discussion. You can directly address the questions I’ve posed or share any other opinions you’ve got on the subject. I think this could be a very interesting dialog. (And if you know of anyone else who you think would like to see this, please forward the link to them – File, Send, Link by Email… on Internet Explorer.) Again, just click on Reply or Comments below. 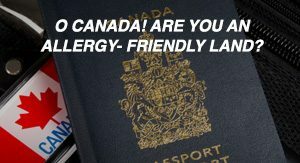 And after you’re done sharing your opinons, or at least reading this post and comments, please go to the main AllergyEats site (www.allergyeats.com) and rate any restaurants you’ve dined at recently. 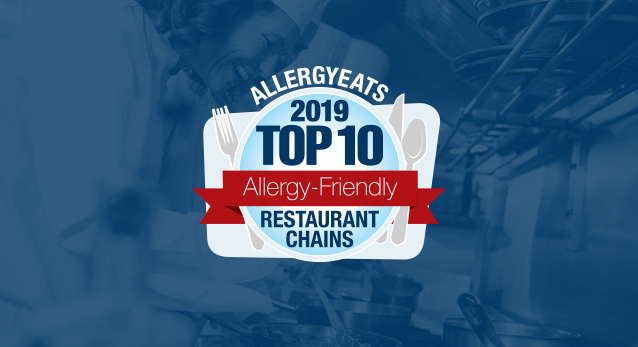 As always, I would remind everyone that each new rating strengthens the value of AllergyEats and helps all of us. 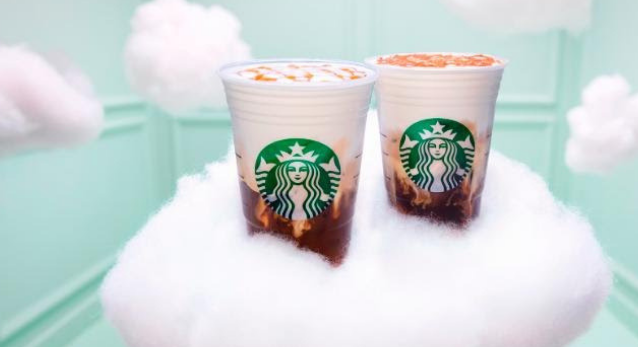 This is going a little too far. Both of my children have food allergies. My daughter is just about 8 months old and I would leave this restaurant if they told me I couldn’t feed her the food that I brought in. I can understand the peanut/nut issue but if the baby makes a mess, clean it up, they know that there is a baby at that table. And, what is the difference if its finger foods or pureed its just as messy, my daughter manages to wear half of what she eats and smear the other half on anything she touches. Its nice to have places concerned about food allergies but, there needs to be a happy medium. Reminds me an indoor play place that told me I could bring food for my son because they didn’t serve anything he could have for lunch but we couldn’t eat in the cafe area…needless to say we didn’t go there. What is the difference between the spaghetti oops as they are and the spaghetti oops pureed? How could the puree process make them more safe and therefore acceptable? Personally I think this is a little nuts. My children have many food allergies and have learned that many restuarants will heat up items for us. But there are some restuarants that won’t let us bring anything in, and those are restuarants that we will not eat in. So few places have anything that my kids can eat even with modification. This article is written in a way that makes me feel that the author wants us to bash the mom for trying to bring food in. Where I feel we should be bashing the restuarant for not allowing it. Until a child is old enough to eat regular food, restuarants absolutely need to allow the parents to bring food in for them. And those of us dealing with food allergies, know how difficult it is to find safe food for our families when we are in public. We need more restaurants to allow us to bring in portions of our meal so that we can be safe. It doesn’t hurt anyone for the restuarant to allow someone to bring in a fruit cup or to microwave a meal packet that’s certified free of the top 8 allergens. Lets try and make things easier for all of us not harder. At first I was shocked by the headline but after reading the story I am totally for the resturant owner. This is how they want to run their business and have made that apparant by posting it on their window outside as well as at the tables. You know when you arrive what to expect- they didn\’t make this up just for Mrs. Corbett at the last minute. 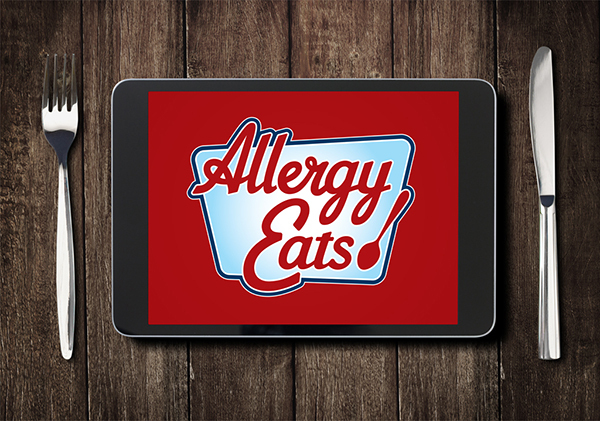 We need more restaurants to be allergy friendly- some catering to specific allergens. Yael: you have to respect the rules of the restaurant. Why did she go to an allergy-safe place. I would have fed my baby in the car or chosen another place. If she really felt she was targeted that is a whole other issue. Emily: This is a tricky situation, but I am going to have to side with the restaurant. Signs were posted both outside and at the table stating that outside food was not to be brought in. Our family had a situation similar to that in Montreal. We ate at Zero 8 which is a fantastic restaurant that does not cook anything with the top 8 allergens. Once we sat down, and without thinking, I pulled some biscuits out of the diaper bag to feed my son and keep him happy while we waited for our food. The waitress quickly came over and politely told us that for the safety of all of the guests we could not feed him the biscuits in the restaurant. I had NO problem with that and put them away. I was able to feed him the pureed baby food that I brought because he was too little to eat off the menu. I think it is refreshing that there are some restaurants out there that are standing up for those with food allergies. I will definitely patronize that restaurant if I am ever in that area. Elizabeth: To me this is a no-brainer and I don’t have any food allergic people in my family. The restaurant gets to set the rules. You don’t like the rules, leave. PS Babies throw food and smear it places. The risk of cross-contamination is MUCH higher with baby food than with adult food. I don’t understand why this woman is upset. That said, good customer service is that you present the request to put the food away with an offer of a plate of something for the baby to get her started, on the house. I agree with Elizabeth from facebook. The woman knew about the restaurant’s policies. They were posted all over the restaurant. I do not blame the owner. The mother should have fed her child in the car, outside, etc. A little flexibility on both ends would have helped things. 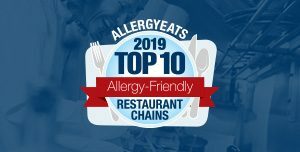 My daughter had no allergies, but there was a period of time when I was very nervous about restaurant food because of her older brother’s severe allergies. Almost all restaurants accommodated me, even the ones who had a no food policy. A paper placemat works wonders if there’s a concern about cross-contamination. I think some restauranteers have lost sight of making their guests comfortable. The restaurant owner had the right to enforce her policies…but really, why did she have to do so in this case? Surely the tables would be wiped down in between diners…I really don’t want to be dining anywhere they’re not! Now she’s going to have all kinds of bad publicity for no purpose. And, as someone said, the liability was already there since pureed outside food was allowed. A little common sense would have been nice. It is their restaurant & they get to make their own rules. While it is now rare there are restaurants that require formal attire, ties on male guests, etc. And we tend to think of this as okay, why wouldn’t they be allowed to have rules regarding food that was brought in? Of course they could have offered to help out by pureeing her food for her, but really since they posted their rules they are well within their rights. I would have to side with the restaurant on this one as they had clearly marked signs everywhere. Why draw the line at pureed baby food? Why not? Where would you have them draw the line? If you bend the rules for one person you must bend them for another and as a gluten intolerant person I see a major issue here. There is now a rule in my house that no wheat based product enters the kitchen, eat what you want in your own bedroom or outside but not in MY kitchen. It’s called drawing the line, does it make complete sense and does it work perfectly? Of course it isn’t perfect because we sure aren’t perfect but it’s a matter of trying to protect people and this cannot be taken lightly. The establishment has the responsibility of protecting their patrons, why would we complain about this when not enough of them do it at all.